Last Friday I saw my first ( and sadly probably only) outdoor theatre of the summer. 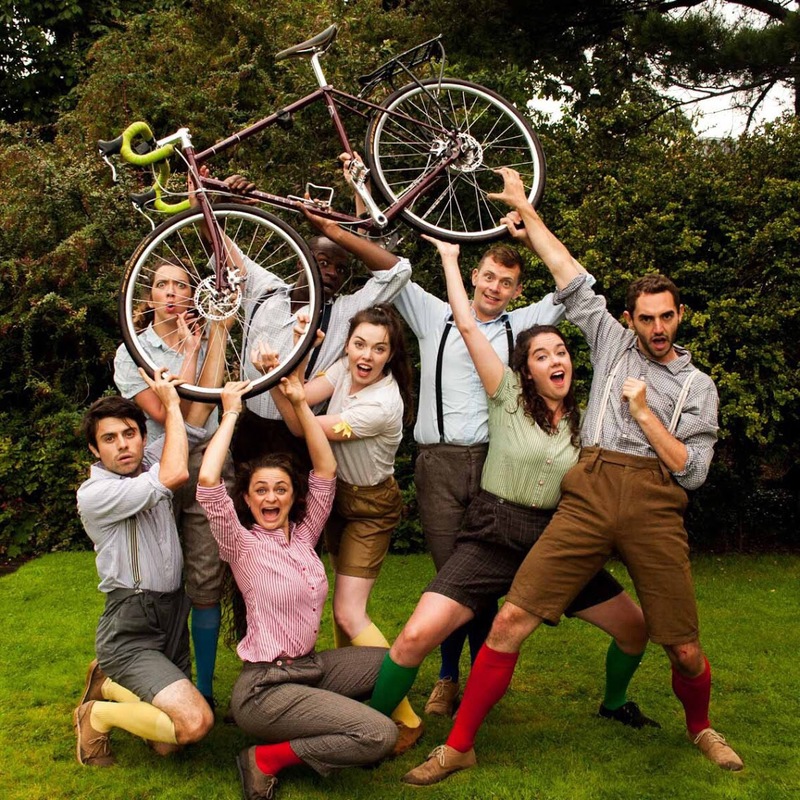 Shakespeare’s As You Like It performed by brilliant company – The Handlebards. 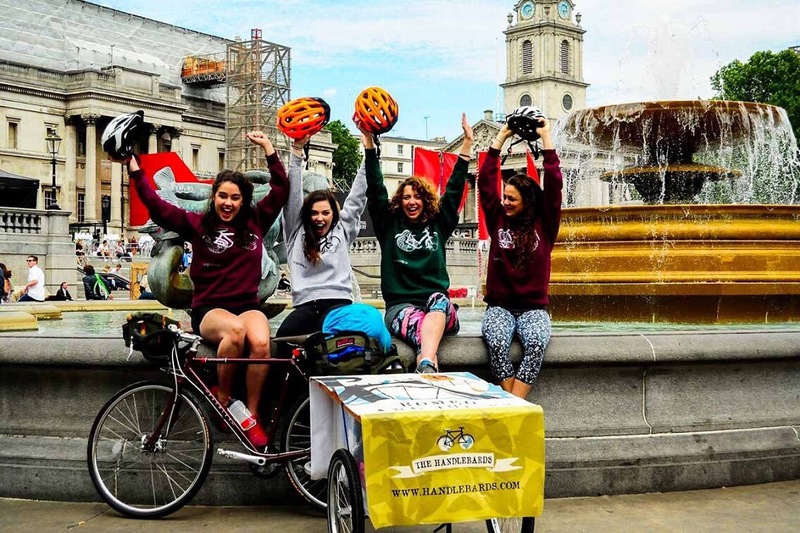 The Handlebards started their journey in 2013 and are currently two troupes of cycling actors who carry all of the necessary set, props and costume to perform Shakespeare plays around the world. I was lucky enough to catch their production of As You Like It when they were performing in the grounds of Paston College in North Norfolk, quite early on in their current tour. That day they had cycled from Norwich to North Walsham and as I arrived were setting up their stage aka lawn. 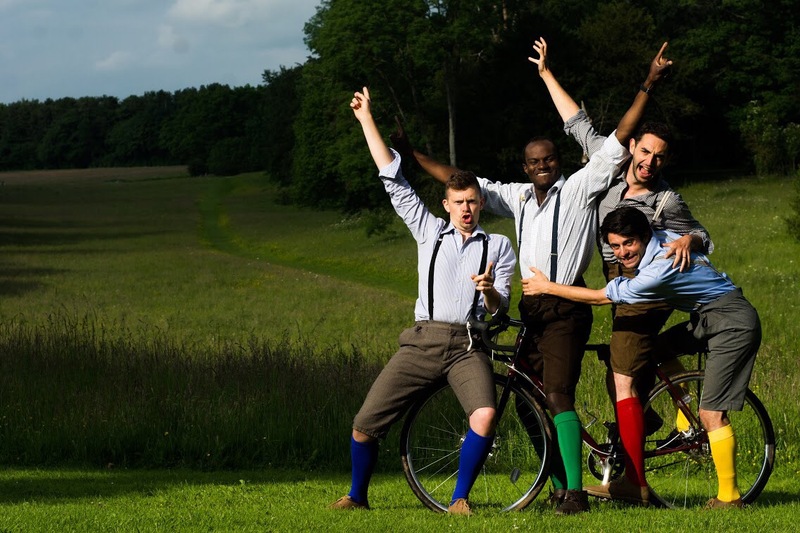 Having the energy to cycle miles during the day and THEN go on to perform Shakespeare is pretty impressive- and their energy never wavered one bit! It was a hilarious production performed by the company’s all female troupe. A talented team of 4 ladies who bounded across the stage playing *all* the roles with enthusiasm, clarity and charm. I always understood which character was which, even when technically there were more than four characters in the scene. It was a brightly colored production full of live music and slapstick comedy. As You Like It is not a play I know well, and I was soon drawn in by the romance of Orlando and Rosalind, and the hilarity of Silvius’s love for Phoebe. All the performances were very strong and it felt like it had been running for weeks, not just days. The production runs at 2 1/2 hours long including an interval, but it truly flew by. Despite the length it’s a family friendly show that will keep both young audiences and grownups engaged. You are encouraged to bring camping chairs, blankets and picnics- although a word of warning… guard your kettlechips closely. There currently aren’t any production shots of their show so I’ll introduce you to the cast – L-R Lotte Tickner, Lucy Green, Eleanor Dillon-Reams and Jessica Hern. Everything used in the show has to pack up into two bike trailers and pulled around the country, so props have multiple uses, costumes get worn every way possible and the set is basic but very functional. When I say that props have multiple uses, lets just say I won’t ever look at two bicycle helmets in the same way again. The beauty of this company is that they can perform literally anywhere there is space for them to set up, be it by rivers, in castle ground or in a local park. This makes them so much more accessible than your average touring company, and as an actor it must be so nice to see all the little corners of the country that you might miss out on when touring theatres. The all male troupe are currently off on their own tour performing A Midsummer Nights Dream. Both tours are taking the troupes all over the United Kingdom, before they take a well earned rest and head off around the world in January. If any of these two productions happen to pass you by I highly recommend packing up a picnic and a blanket ( and maybe a poncho just in case) and going to see what promises to be a fun show! 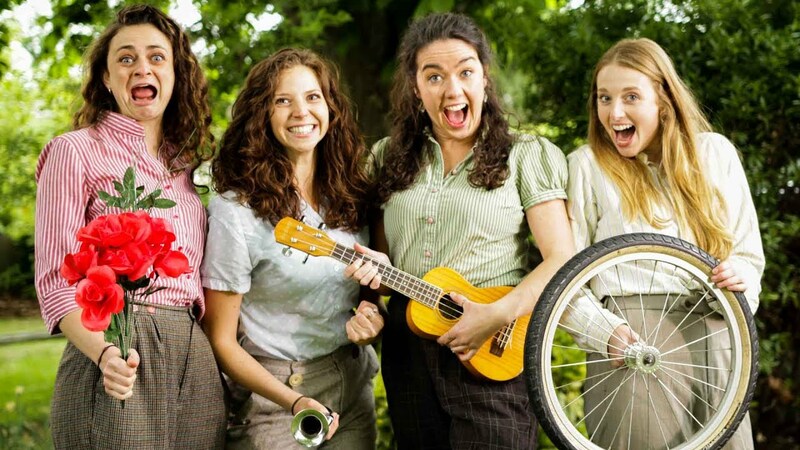 Their full schedule and links to where tickets are on sale is on their website www.handlebards.com and they have all the social media if you want to see where about they are and get a glimpse into the life of a human powered touring company. Twitter – Instagram. Are they cycling anywhere near you this summer? Let me know in the comments!